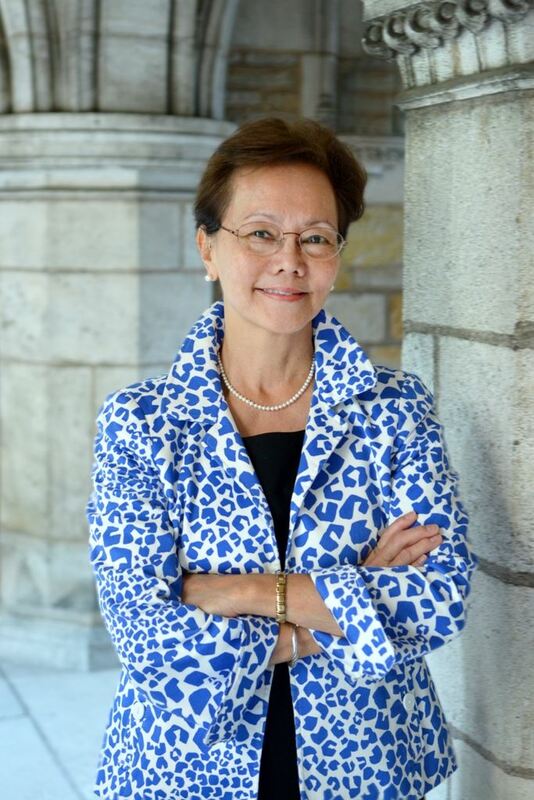 Please join YaleWomen for tea with AYA Executive Director Weili Cheng '77. Kindly hosted by AYA Shared Interest Groups and in the great tradition of Yale teas, this is a wonderful opportunity to speak informally with one of the university's leaders who is also a professional with wide-ranging corporate and legal experience. Weili will be speaking a bit about her own experience, but primarily we will have the opportunity to put our questions to her. Cheng has experience working in both the private and public sectors. Most recently, she was senior vice president and deputy general counsel at the Ritz-Carlton Hotel Company. Prior to that, she worked as an attorney at the United States Department of Justice and a private attorney, then as vice president and assistant general counsel for Marriott International, Inc.
Cheng has been actively involved with the AYA throughout her career, serving on the organization’s board of governors from 1986 to 1996 and as chair from 1992 to 1994. She was also chair of the class of 1977 class council, president of the Yale Club of Washington, D.C., and, since 1994, has been on the board of directors of Yale Alumni Publications, Inc, which publishes Yale Alumni Magazine. The executive director of the AYA is the highest officer in the Association’s administrative structure and works with the AYA board of governors, AYA staff and University leadership to set programming for the organization, among other duties. For more information click here. Important: All YCL and YaleWomen members, male and female, are welcome to attend, but as there is no charge for this event and spaces are limited, please only book a ticket if you are firmly planning to attend.